Re Imports – What is Re imports in International Trade? How does Re imports work in Exports and Imports? What does the term Re import mean? In simple terms, let me describe about re imports. 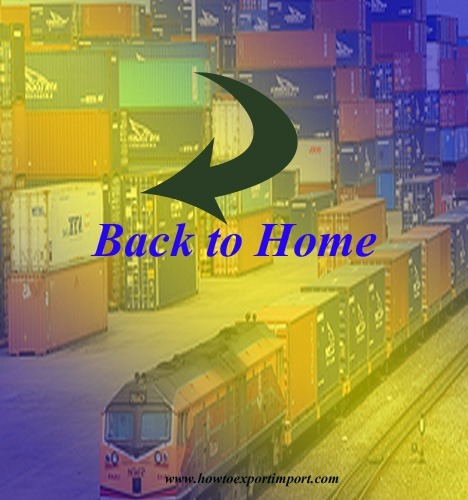 If you categories imports as foreign goods and domestic goods, the import of domestic goods is called re-import. This is the simplest method of understanding about re-import. If any goods of a country is exported to another country and thereafter importing back the same goods, such goods are fell under re imports. For example, machinery has been exported to a country for testing purpose and after necessary testing, the said machinery is returning back to the country. Here, the process of returning back such machinery is called re-imports. In many cases re-imports happen as the exported goods are not satisfied with quality measures, goods exported not matching with the buyer’s requirements, goods exported for specific purpose like project, exhibition etc. Such re import procedures can be done by filing necessary documents along with supporting documents with customs department of respective country. 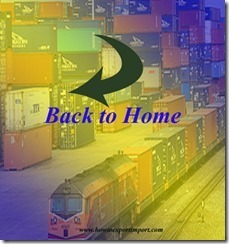 Have you satisfied with the meaning of Re Imports in exports and imports? Do you wish to add more information about Re imports? Share your experience in handling Re-Imports in Exports and Imports. Comment below your thoughts about this article – What does Re Import mean and what are the procedures under Re-imports in international trade of imports and exports. Anjali: On 17 December 2014 Hi, We purchased some LED Tv from china( Above 32 Inches) & now the goods in chennai port, since we don't have the BIS certificate we can't clear the good there. So now we are planning to re import the goods to dubai. What is the procedure for that, please reply. Dr. Girish Datar: On 05 March 2015 I am a surgeon and carry out complex spine surgeries. I have been invited to operate cases in Africa for which I need to carry operative equipments. After the surgical procedures are over in Africa, I need to bring my surgical equipments back to India. Please advice me how to do this. Any specific documentation with Indian custons etc. Moin Parekh : On 12 March 2015 I'm a non resident Indian living in USA wanting to set-up a export business out of Gujrat state in India. I would mainly be re-exporting some of the USA/EU made products.Could you pls. provide the best way to do this. Sameer: On 27 July 2015 Dear Sir, Can we avoid all duties of sending & returning of our machinery for Exhibition purpose under ATA Carnet. Jayesh: On 17 September 2015 what all are the documents required to be submitted to customs and banks in case of export and re-imports ..
Balakrishnan: On 26 December 2015 Can we reimport the exported cargo under nil duty as defective? If so pls provide customs notification number or should we pay customs duty? pls clarify. Jayesh Parmar : On 17 August 2016 I am Jayesh Parmar. Kindly guide for below mentioned case. 1.What are the documents required to be submitted to customs and banks in case of export and re-imports. 2. Procedure for export and re-import. Sanjay Patel: On 03 October 2016 We have exported some material for job work, and now we have re import the same. But by the process, the identification is not match with the item Exported and Item Imported. i.e. We send the Foil material and now we received the same in form of Fin. How can we clear the material? pn mohan: On 08 April 2017 please clarify with relevant details viz,circulars, instructiions, as to 1. whether94/96 notifications deals with domestic goods alone or also includes originaly imported goods (import duty paid). 2. whether sl.no.3 applies to indegeneous goods alone or it also includes import duty paid imported goods on its export from india and re-export. 3. whether the provisions of section 20 applies to all re-imported goods. Ajit Shah: On 26 June 2018 We have some rejected Material @ customer place, which we have exported 3 Months back, now Customer want to return & get replacement , due to quality Issue. Request you to inform procedure for this transaction, can we destruct the material at Customer place & replace the same .